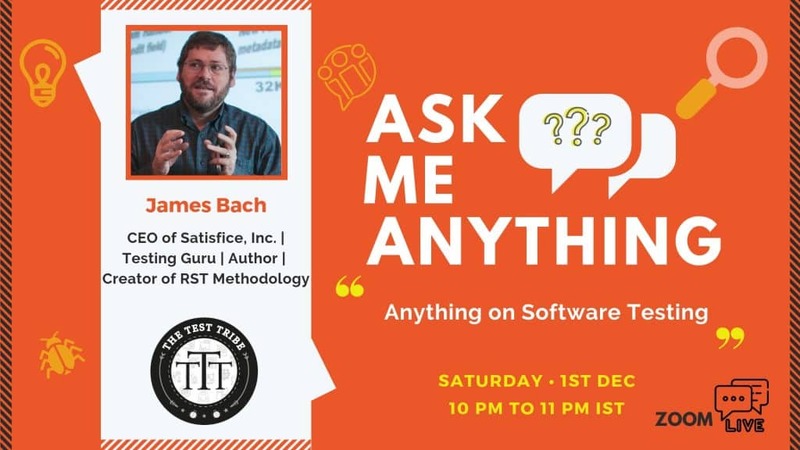 Here is the recording of our third session from the AMA series we started wherein we have James Bach answering questions on “All things Software Testing”. It was a Zoom Live session and as promised we are making it available to everyone. 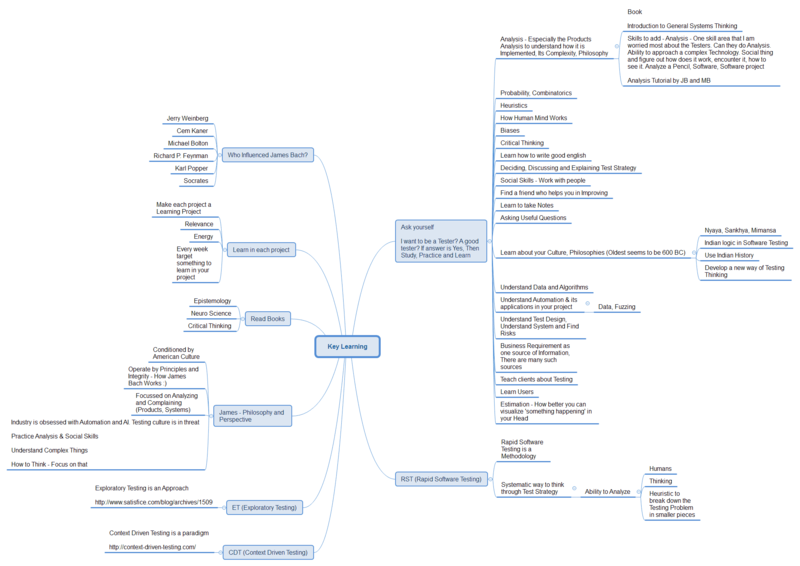 Bonus: We also have a couple of Mindmaps which at a high level covers up learnings shared by James. Thanks to Sandeep Garg for taking notes and creating wonderful deliverables. Click on image to see it full screen. With the growing popularity of the open source tools, do you foresee the adoption of paid software tools dying? Where should the future tester focus to master the open source tools or paid tools? Will testing survive without automation in the near future? As testers, how can we give still better products to the world? Are we doing enough? Or should we do more? What else should be done? How to cope up with automation testing and security testing challenges and internet of things testing? What would be your approach to scheduler based testing? How is that Facebook and Google are getting away with programmer centric testing, all driven from unit test, with the tolerance of bugs gone big throwing lights on risk is not that big. What should be the tester’s focus in the beginning of his career for a long-term success in the testing career? 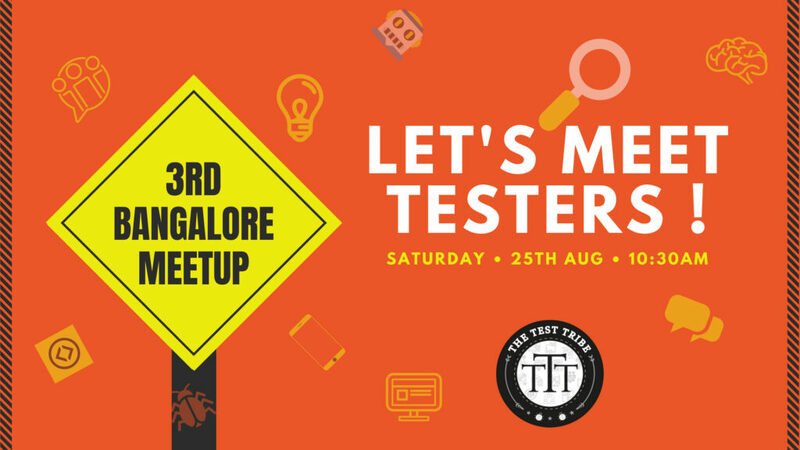 What should a tester posses – multiple types of testing, working around all of them or just one and sticking to it. If not getting enough opportunities in India for a particular skill, what needs to be done? There are situations when we are not valued as a quality team or a tester. Nothing can be done about it, but do just what is asked. What is your advice to handle such situations? Who are the influencers in your professional career? 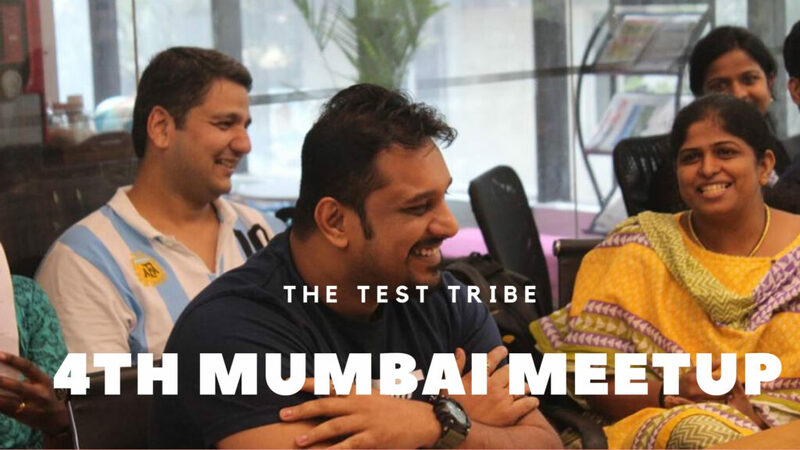 It is said that testers can become good product managers. What is your take on it? What is the most demanding technology in Software Testing? What do you call a designs patterns thinking? What are your thoughts on the way estimations are asked in testing? How to be prepared for the release of cycles that happens in few hours? Lots of testers are negative when it comes to upgrading their skills. What would you tell them?